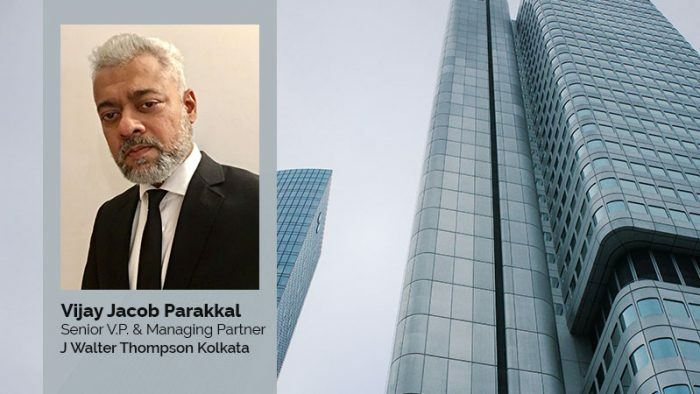 J. Walter Thompson India has appointed Vijay Jacob Parakkal as the Senior Vice President and Managing Partner of Kolkata office. Vijay Jacob Parakkal is a seasoned professional with over two decades of experience in advertising and marketing communications. He started his career in marketing with Eveready Industries in Kolkata and was an integral part of the business growth across multiple markets for over half a decade. During his tenure with Ebay.com, Vijay spearheaded the launch of Baazee.com and its business operation in Chennai. He subsequently worked with some of the leading advertising agencies in India and Sri Lanka managing iconic brands like Aditya Birla, Ashok Leyland, Britannia, Bharti AXA, Fortis Healthcare, ITC, Sify, Tata Tea and UB Group, to name a few. Vijay has worked across multiple categories including Automobiles, Food & Beverages, Digital, Finance, FMCG, Healthcare and Telecom. With his diverse experience, Vijay brings with him a fresh perspective and a unique POV on building brands and businesses. He joins J. Walter Thompson from McCann, Delhi.